BeaterBlade Artisan Pro continuously beats, scrapes and folds ingredients for KitchenAid® stand mixers, making BeaterBlade one of the most efficient tools in today's kitchen. It virtually eliminates hand-scraping the bowl and batter build-up on the blades. Ingredients are thoroughly incorporated ensuring foolproof mixing and baking preparation. Bright yellow denotes color coding for the commercial kitchen. 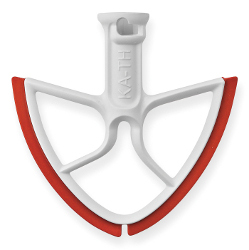 BeaterBlade® continuously beats, scrapes and folds ingredients for KitchenAid® Heavy Duty 5Litres (lift-bowl) mixers, making BeaterBlade one of the most efficient tools in today's kitchen. 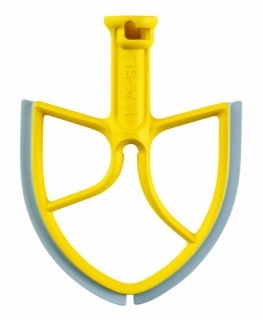 It virtually eliminates hand-scraping the bowl and batter build-up on the blades. Ingredients are thoroughly incorporated ensuring foolproof mixing and baking preparation. 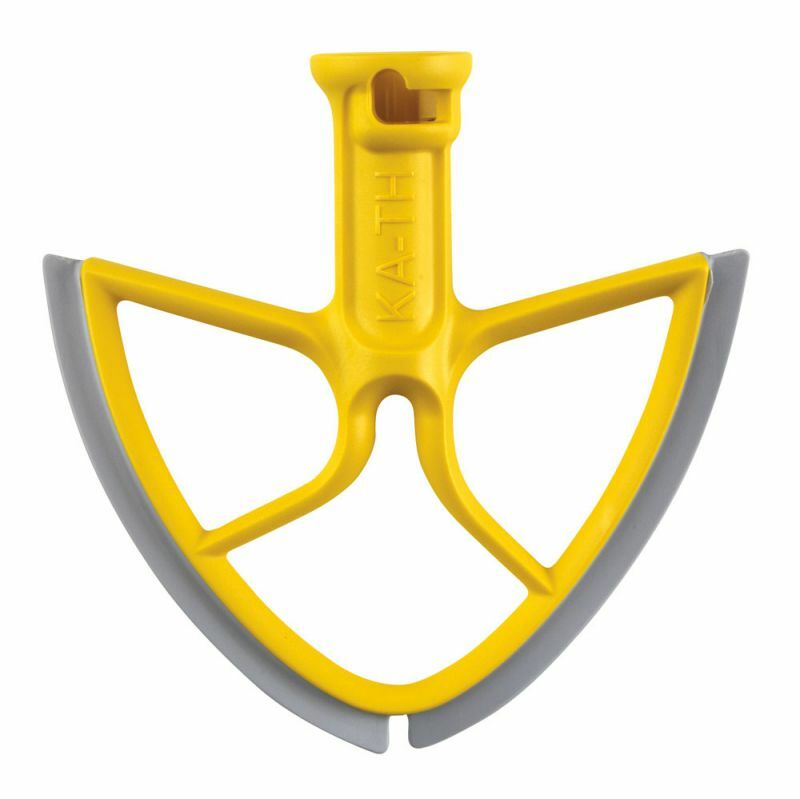 BeaterBlade cuts mixing time by up to 50% and minimizes batter build-up on the beater and blade. Made in the USA. 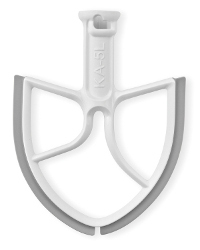 BeaterBlade Pro continuously beats, scrapes and folds ingredients for KitchenAid® stand mixers, making BeaterBlade one of the most efficient tools in today's kitchen. 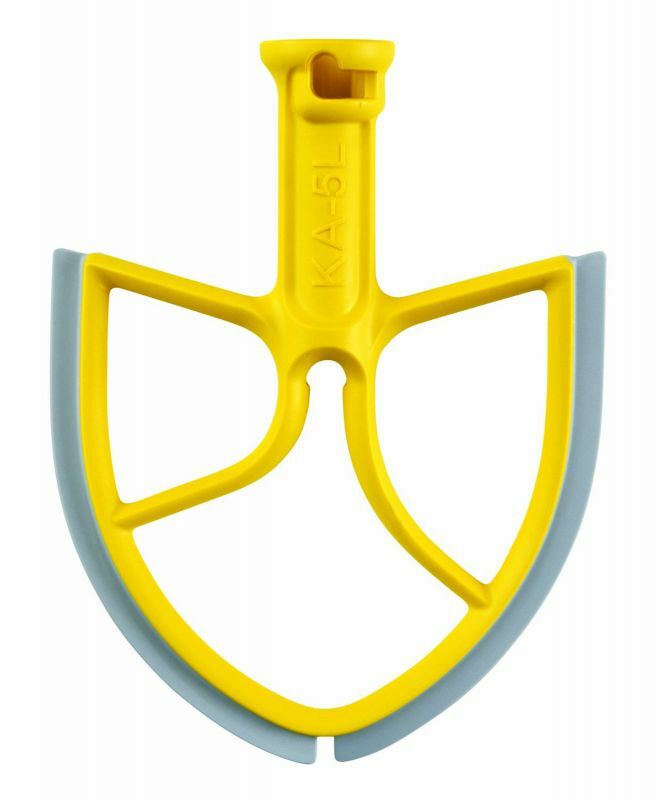 It virtually eliminates hand-scraping the bowl and batter build-up on the blades. Ingredients are thoroughly incorporated ensuring foolproof mixing and baking preparation. Bright yellow denotes color coding for the commercial kitchen.